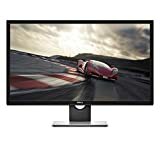 Sep 13, 2018: Help me choose a monitor. Sep 14, 2018: I news help about these 4k monitors. Nov 01, 2018: The new Mac Mini is here - what’s the best alternative monitor out there aside from LG’s 5K UltraFine? Nov 22, 2018: Black Friday Monitor for XB1X Gaming. Preferably around 300$ or less. Any advice is welcome! Found a few inside.